Christmas Day is not far from us now and are you worried about editing and sending lucky text messages to your friends and families? The celebratory messages express our best wishes and also show our care and love to the receivers. But to be honest, it is a little troublesome and annoyed to edit and send so many messages on the mobile phones one by one. Of course, many smart phones allow the users to do mass texting but the number of the receivers is limited. You still have to edit and send the messages for many times. What if you can edit the messages on the computer which has the keyboard that make it easy to edit the SMS messages? You can type on the keyboard to write your messages easily. Here we will recommend you a third party tool to achieve the goal. What's more, you can also send many messages on the computer at once with the software. MobiKin Android Messages Transfer (Windows/Mac) is highly recommended by many users. With this professional and powerful software you will find it is easy to send Christmas messages to a group of friends quickly and fast. Not only to that, it was designed for Android users to transfer files between computer and Android phones. So there are more functions below. The software can detect your devices deeply and automatically and it will scan the files no matter they are stored in the internal memory space or external memory space. So the contacts and SMS messages will also be managed after the software display them on the interface and you are allowed to edit and transfer them on the computer with no hassle. In addition, the program will also offer you the access to transfer other files like photos, music and videos between PC and Android devices freely and quickly. 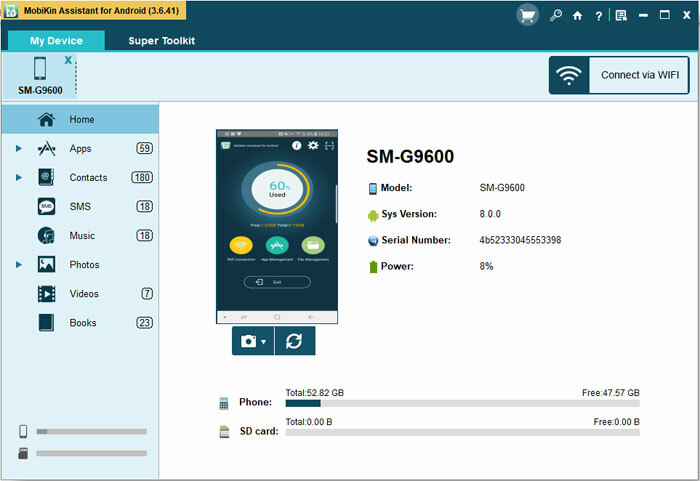 It can support all the brands of Android devices like Motorola, Sony, Samsung, ZTE, LG and so on with high compatibility. Besides, it is totally clean with no spyware, adware, viruses or any other malware. So you can trust the program and your personal will never have chance to be leaked out, and you will also not be troubled by advertisements when you use it. By the way you can install the Free Trial version by clicking the icons below. There are two versions available and you can chose one to download according to the operating system of your computer. Guide to Send Many Messages on Computer at Once. Step 1. 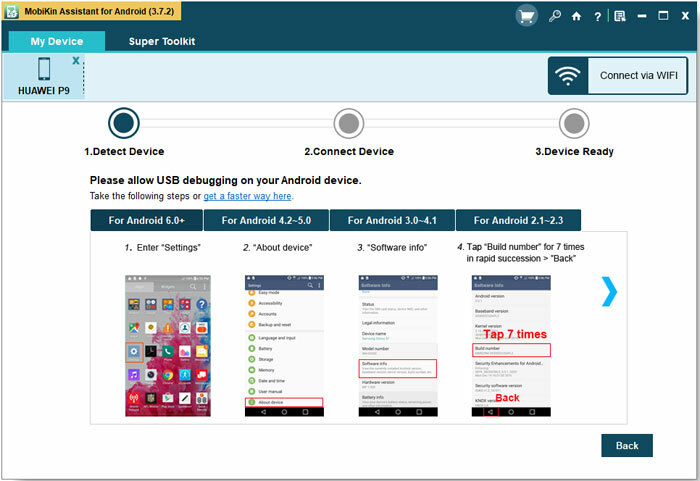 Download and install the applications on the your computer and then connect your Android phone to the computer with a USB cable. Just open USB debugging if you haven't done this before. You can follow the steps below according to your Android operating systems. Then click "USB debugging opened" and hit "Next" button to install USB driver on your computer. Step 2. The software will detect the device after the installation of the USB driver. Then the window like this will pop up. As you can see, the data and information of the cell phone are displayed on the window. Step 3. Select the "SMS" button and preview the items on the right panel. Then hit the "New" button and type phone number you want to send the message to and edit the messages content. Note: You can backup the SMS messages on the computer by clicking the "Export" button.